Sometimes something comes up on Groupon that is simply too good to pass up. The Groupon deal for Holmes Helicopters was one of those amazing deals: a 45-minute helicopter tour of the Dundee Hills for two people for under $200. To put this in perspective, it’s not uncommon for helicopter rides to cost several hundreds of dollars per person. The reason helicopter rides cost so much is the fuel. It costs $200 per hour to fly a very small helicopter in good conditions, and considerably more for larger helicopters. 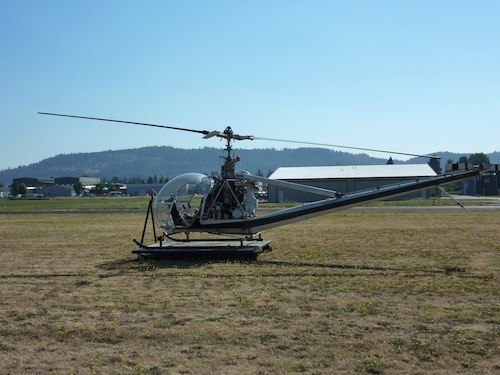 Holmes Helicopters is based in Newberg, Oregon, a quick 45-minute drive down the 99w from Portland. The company operates out of a home office and a tent by its hangar at the Sportsman Airpark, very much a mom-and-pop operation. The three-person helicopter flown by Holmes Helicopters has obviously been around a while and is very basic. While it looks pretty worn, it flies very well and once we got in the air we always felt safe. Owner and pilot Jeff Holmes is an exceptional pilot with considerable experience. It was extremely clear that he absolutely loves to fly and that really helped make our flight a special experience. 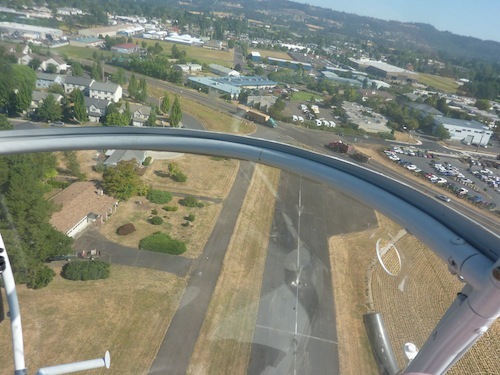 We had originally booked a 45-minute flight over the wineries of Dundee, but Jeff Holmes suggested a more scenic trip over the Willamette River instead. We decided to take his advice and opted for the river flight, which ended up being excellent advice. 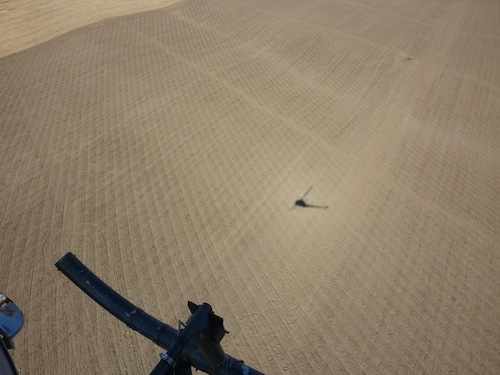 Flying in a helicopter is almost indescribable. The helicopter floats and moves so gracefully in the air that it gives you one of the closest feelings you’ll ever have to personally being able to fly. It’s something to be experienced at least once in your life. Driving through Newberg and the surrounding area by car, you don’t get the scale of just how much farming there is in the area; flying over these farms gives you a different perspective and was a ton of fun. We sailed over hazelnut orchards, corn and wheat fields, stock yards and horse stables. I often found myself lost in the scenery – it’s simply dazzling. The highlight of the trip was seeing the Willamette River. 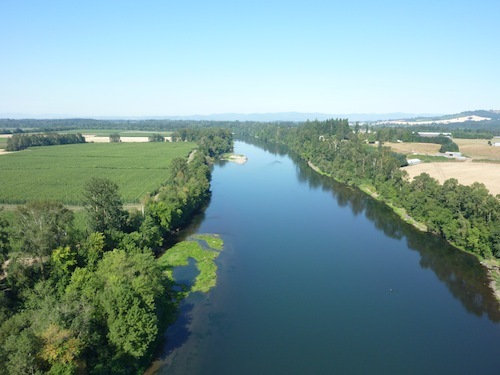 Between Newberg and Dundee, the river is much quieter and more serene than it is near Portland, like a tranquil oasis in a rural part of Oregon. The 45-minute flight was the perfect length, just long enough to really feel like we had a significant flight, but short enough that we were always engaged and having fun. 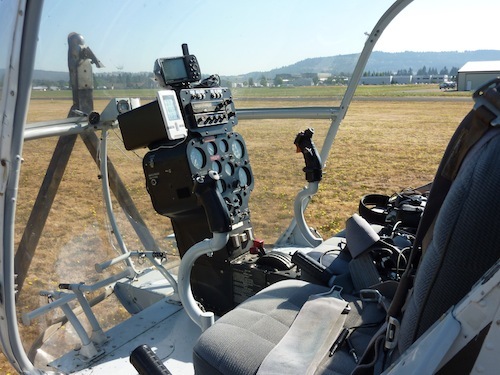 Holmes Helicopters offers a wide range of flying options, including everything from flying lessons to a romantic nighttime flight over the city of Portland. I really liked pilot Jeff Holmes, who really made the flight fun and memorable. Flights with Holmes Helicopter can be booked by calling Jeff Holmes at (503) 750-5020 or Shanda at (503) 260-5181. You can also email [email protected]. I'd just like to comment on this article and say that I recently had the opportunity to use this company and they were FANTASTIC. I wanted to fly my fiancee to downtown Portland for dinner for her birthday. I called and spoke with Shanda and asked if it was possible for them to fly to my house, land in my yard (we live on a farm in Oregon City), and take us to dinner. Jeff flew out to the house (was on time) and landed in my front yard like a true professional. My fiancee was absolutely amazed and even the neighbors came running over to watch. We took off nice and smooth and flew downtown. We landed on the parking garage at 2nd and Davis then walked over to Portland City Grill (about 5-6 blocks away). I called Jeff after dinner and we met him back at the heliport. By this time the sun had set. Jeff flew us around downtown Portland a couple of laps and pointed out all of the landmarks. The view was absolutely incredible. Jeff then flew us home and dropped us off. All in all the night was incredible and the price was more than reasonable. I would definitely do it again and highly recommend Holmes Helicopter to everyone!